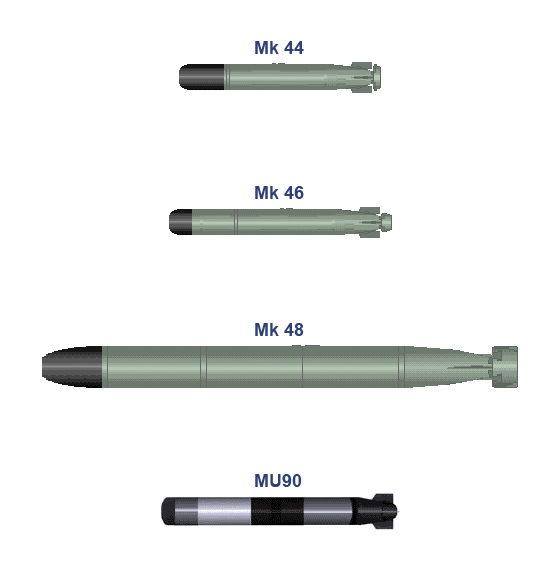 The MK-46 torpedo is designed to attack high performance submarines, and is presently identified as the NATO standard. The MK-46 torpedo is designed to be launched from surface combatant torpedo tubes, ASROC missiles and fixed and rotary wing aircraft. 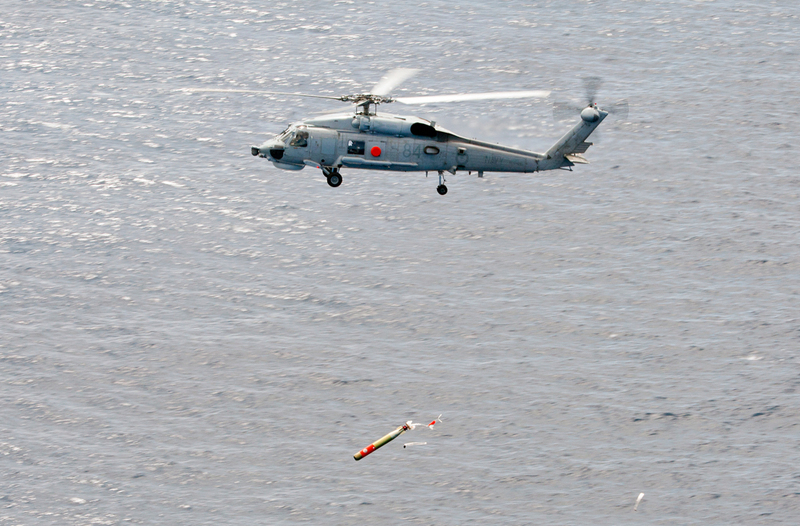 A Sikorsky S70B-2 Seahawk helicopter conducts a weapons firing serial, firing a Mk 46 torpedo, off the coast of Western Australia.